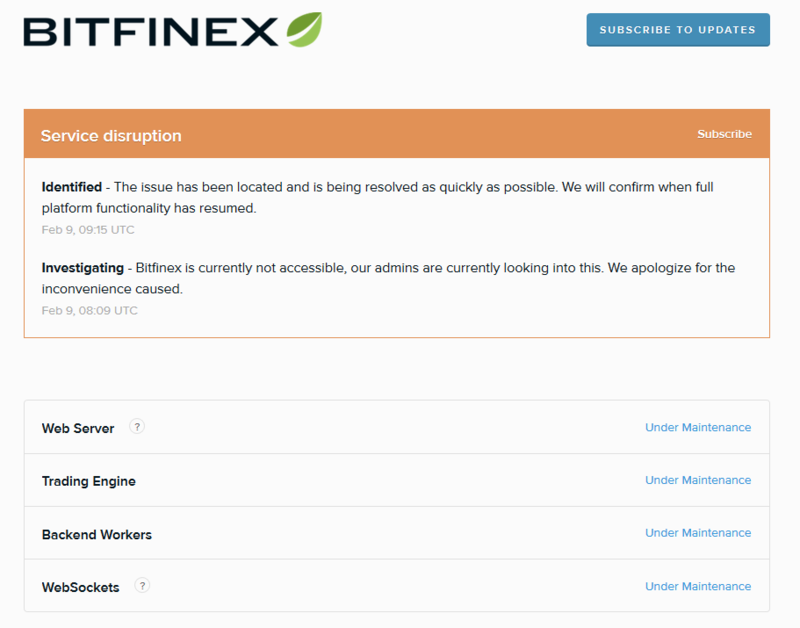 We are aware Bitfinex is currently not accessible to some users, our admins are currently looking into this. We apologize for the inconvenience caused. In response to the tweet, users called on Bitfinex to be more transparent, explaining that all users were unable to access the exchange. Shortly afterward, Bitfinex apologized for the statement explaining that in their haste to inform users of the issues, “We were poor in the choice of wording.”The exchange further stated that all funds are safe. More like ALL users. Just be transparent. The latest update from Bitfinex states that the issue has been located and will be resolved as quickly as possible. While there are no details yet on what caused the outage, users on Reddit have been posting updates as they become available. User kain_niak explained that at around 7:45 AM UTC, Cloudflare began showing a “host error” message. Additionally, the official Bitfinex Telegram group is gone. According to the user, they came online briefly after about 75 minutes of downtime before going offline again. The unexpected downtime has had many users concerned. According to another Redditor, Binance is also having issues which may suggest a DDOS or "Something nefarious." On the bright side, however, the Bitfinex trading engine is also down which will be good news for anyone that has open short positions. With a bit of luck, the exchange will resume operations shortly. According to the official apology, the downtime was attributed to a connectivity issue. Additionally, it's confirmed that all funds were safe during the period of inactivity. The team are currently investigating what led to the issue to ensure that it doesn't happen again. Why do you think Bitfinex is down? it is great that they told true, Bitfinex cares about its users. yes it looks so now. yes it looks so now. did someone get issues? lol i didnt even notice that. That's cool. Bitfinex saw the prospect in this project, then why not! Every exchange has problems. Bitfinex users quickly restored access and didn't lose money! that's all. The main thing is that Bitfinex customers and their accounts are safe. Sure, Bitfinex will take action that will help avoid downtime again. Shouldn't have bothered about that. I trade on the different exchanges and bitfinex is one of them. Each exchange face issues from time to time. We have to understand it. Yes, sure. I trade on the different exchanges and bitfinex is one of them. Each exchange face issues from time to time. We have to understand it. why was I cool and calm? Probably because I 've been using bitfinex not the first year. me too. i wasn't scared about that. How can I be sure in a platform if so many bots spread fake news about it? Bitfinex is a good company that must deal with all that problems just because it’s much better than its’ rivals?